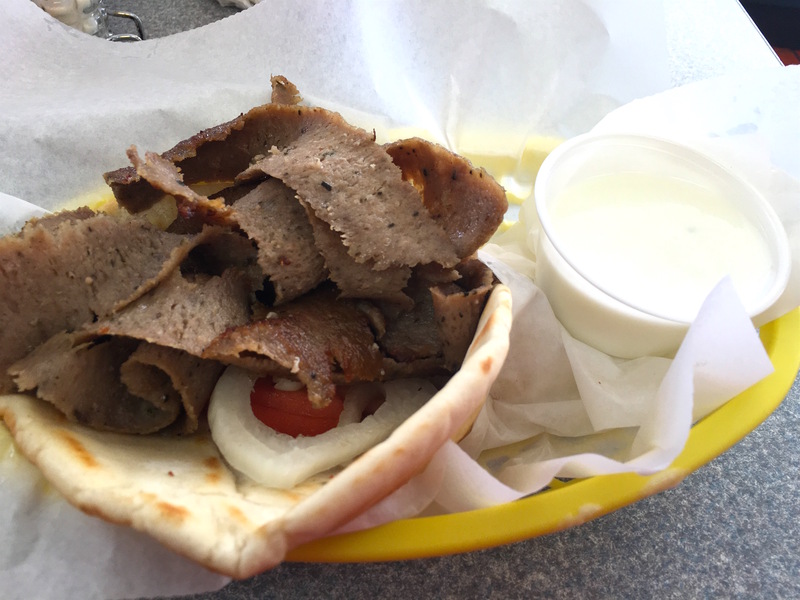 Sebastian’s Gyros – Go There. Try That. My visit to Sebastian’s was completely unplanned. I call it an unexpectedly tasty adventure. After a morning of delivering presents for Angel Tree, my good friend Kenny declared that we all needed Sebastian’s gyros- a favorite of his from his college days. Now, I’m going to be honest, we might have been a little leery simply because it was only 10:30 in the morning. However, we’re always up for a new experience. After about five minutes of weaving around side streets I’ve never seen, sure enough, we were in Sebastian’s parking lot, just as he remembered it. Sebastian’s is the type of place that has stood the test of time. It has stood in its current location at 5209 Glenway Avenue since 1976 and, furthermore, it is one of few greek restaurants in the city of Cincinnati. Sebastian’s is also the type of place that is reminiscent of another era. It is a living artifact that doesn’t rely on social media to generate business nor does it rely on gimmicks or quirks to get business in the door. It is a cash-only establishment that doesn’t need your approval to be awesome. Personally, I found Sebastian’s when I was a freshman in college. I am not a native West-sider but was living on the west side for school at the time. 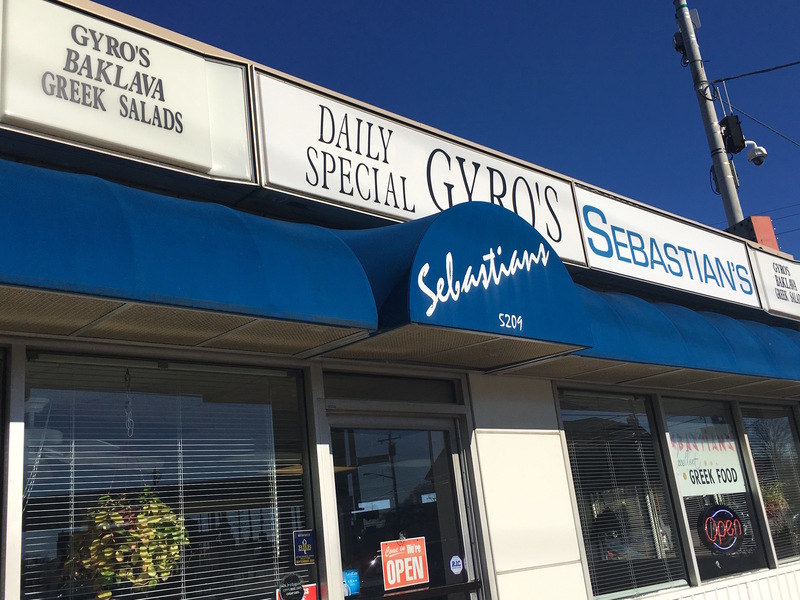 Upperclassmen would whisper about Sebastian’s between 11:00AM and 1:00PM classes and often made hurried decisions to make the 10 minute drive for a Gyro and Greek fries. It didn’t take long before I was making the same decision with classmates for the same purpose. Walk up and place an order. Regarding the food, Sebastian’s is an old-school, Greek diner with a straight-forward menu. 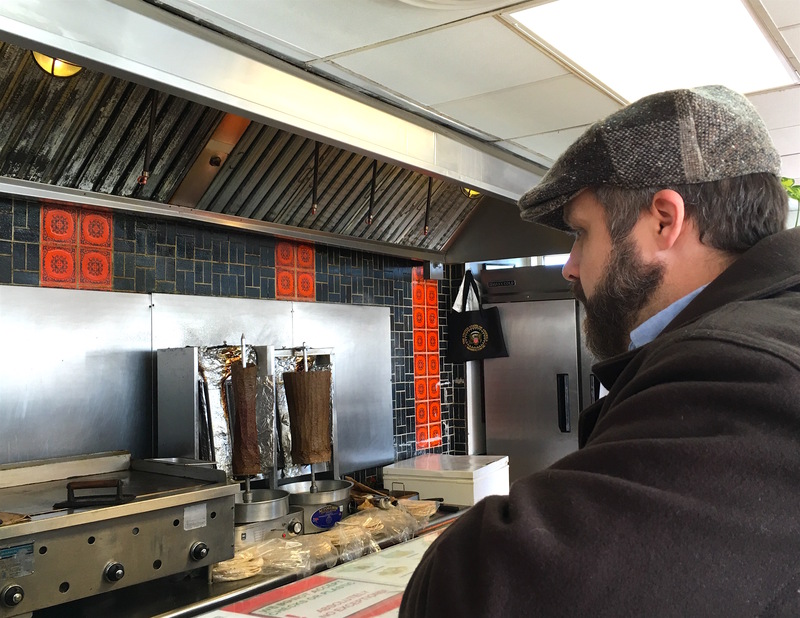 You can’t miss the gigantic skewer of gyro meet rotating in a warmer when you walk in. 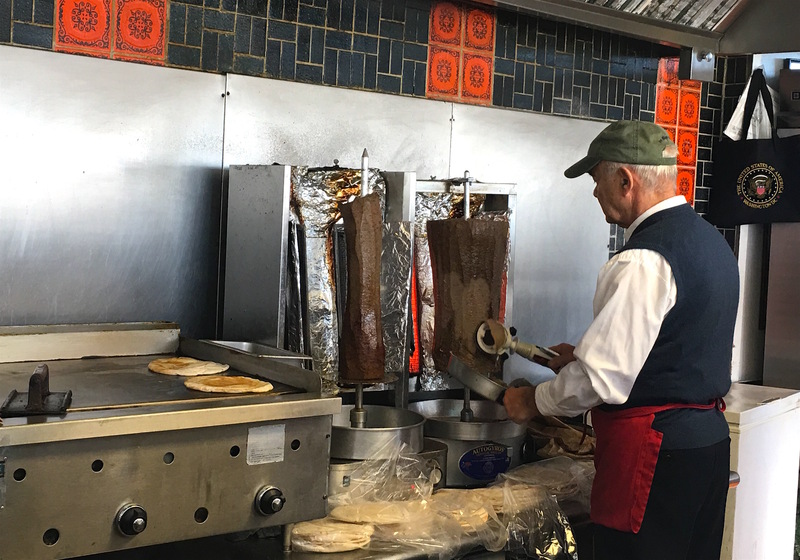 Alex, the owner, shaves the gyro meat off for orders as they come and then loads the gyro’s up with fresh tomatoes, onion, lettuce and sadziki sauce. Side note, sadziki sauce is a creamy cucumber sauce that is often served with mediterranean food. It is the perfect complement for a savory gyro on a browned pita. Alex seasons his fries and serves them with ketchup. FYI, everything at Sebastian’s is a la carte, so don’t forget to actually order the fries if you want them! You can also order traditional greek food if you’re just not in the mood for a gyro. Alex makes spanikopita (spinach and feta cooked with filo dough), tiropita (feta filled appetizers), and dolmathakia (grape leaves stuffed with rice and ground beef) in house. There are salads for lighter fare, and hot dogs if it’s not a gyro day but you still want some semblance of a sandwich. Been in business for 40 years. That’s doing something right! What really sets Sebastian’s apart from other restaurants is the straight-forward authenticity of their menu. Alex has been making food from this menu for 40 years and he makes it perfect EVERY time. He will start talking your ear off as soon as you walk in the door and you’ll be treated like an old family friend until you walk out the door. 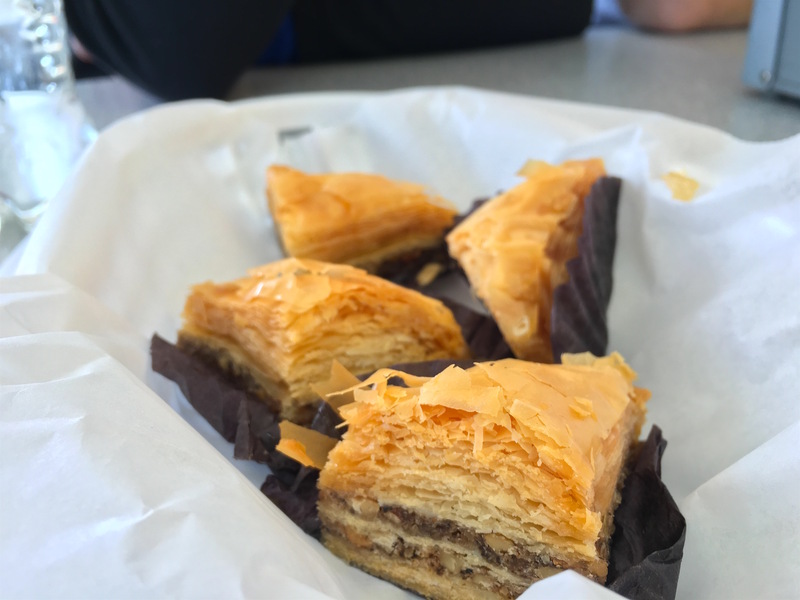 Sebastian’s is a great Greek diner, but part of the allure is the fact that your experience isn’t something contrived or manufactured. For me it was a once-a-week sandwich shop I frequented 12 years ago. The amazing thing? Alex recognized me when I came back with some friends after a 10 year hiatus. Though Sebastian’s is a business, Alex doesn’t follow the transactional model. If you’re looking for a place to get your food with minimal contact and sit, isolated, at your booth, Sebastian’s is not the place for you. Alex makes the best gyro in Cincinnati, hands down. However, when you walk out his door feeling good, it won’t be because you’ve put yourself into a food coma. GO THERE (Sebastian’s Gyros)! Try that (Gyro and Greek Fries)! Such a fun day:) and delicious! Alex even made sure to treat us to some delicious baklava that day, delivered by him, to our table. That made an impression on me for sure. Absolutely. So good and so kind. Kenny, I like the sound of this place. I am now on a mission to try this place. Great food, no pretense – it sounds perfect.